Here is a wonderful item for the serious Oz collector–an original piece of Oz stationery from the “Office of the Royal Historian of Oz”. 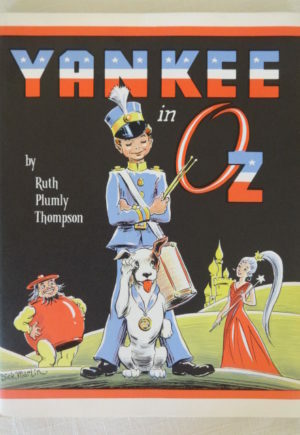 Ruth Plumly Thompson took over this title from L. Frank Baum and wrote 19 Oz books between 1921 and 1939. 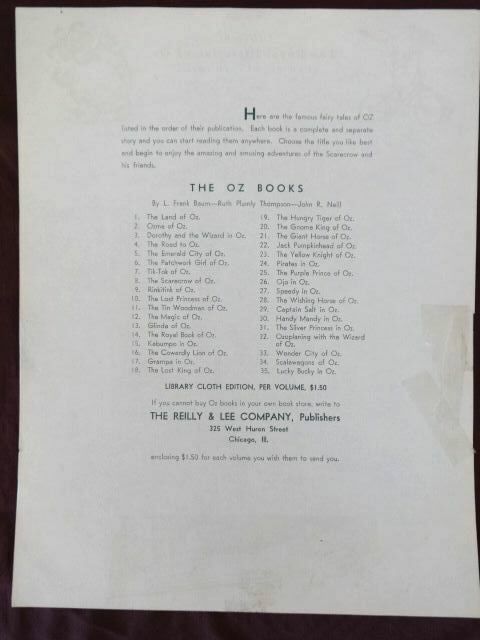 She used this stationery in correspondence to fans and friends even after she “retired” from writing Oz books in 1940. The double-sided stationery is 8.5″ by 11″ and features writing and Oz characters in green ink. 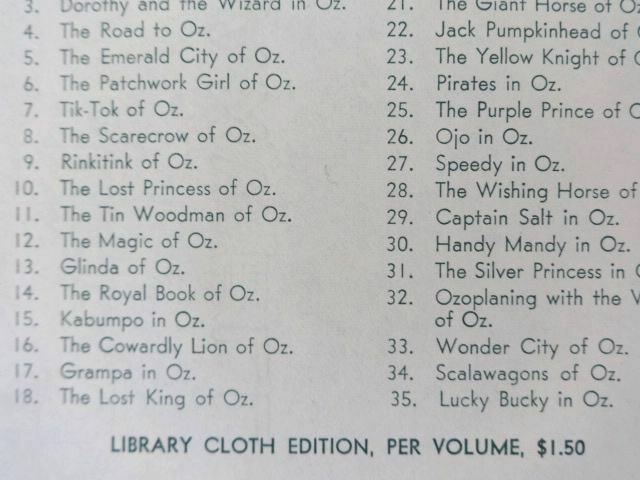 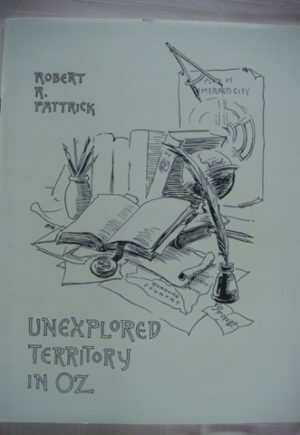 The back side lists 35 Oz books (ending with Lucky Bucky in Oz), and includes the Reilly and Lee imprint and address. 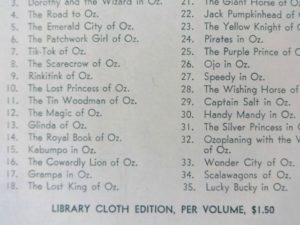 Even more interesting is that this advertised the “Library Cloth Edition” books, while her 1939 stationery lacked this addition. 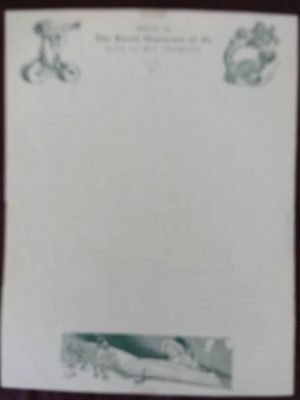 This original stationery has is unused, but has a chip on one edge that has been tape repaired, and a 1/2″ edge tear. A scarce piece of Oziana!